Today I tackle teleportation at Stephen Tremp’s awesome SITE! When did the concept emerge? How has it figured into science fiction? And is it possible…? Hosted by Stephen Tremp, Mary Pax, Christine Rains, and CM Brown. I have the honor of sharing W4WS today with the awesome Isis Rushdan. That’s right! It’s the Ninja’s turn today. And was it ever difficult coming up with the Tweets and Facebook posts. Thank you to the hosts and to all the W4WS members – and anyone else who helps – for your efforts today. Nicole Zoltack’s Black Hellbore is out today in eBook – print coming in January. Congratulations, Nicole! Rachel Morgan’s The Faerie War is out today!! Congratulations, Rachel. You have wrapped up your awesome trilogy. Milo James Fowler had some exciting news this weekend - Captain Bartholomew Quasar and the Space-Time Displacement Conundrum, his first novel, will be published next year! The novel will first be serialized for subscribers, followed by an eBook and print release. Congratulations, Milo! 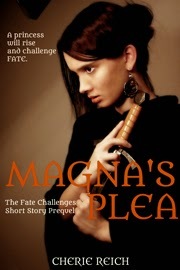 Cherie Reich’s epic YA short story, Magna’s Plea, is available and free at Amazon. Congratulations, Cherie! Toinette Thomas is celebrating her birthday today by independently publishing two new works of fiction! Happy birthday, Toinette. I think you mentioned cupcakes…? 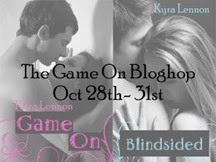 Kyra Lennon is hosting the Game On Bloghop October 28-31. To celebrate the second edition release of Game On, Kyra wants to know – who is your sports crush? Get the details at her site. 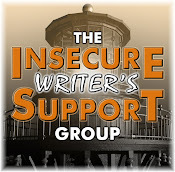 Remember, every Monday is a new post at the Insecure Writer’s Support Group website. We’ve also added a lot of new sites to the databanks, so check often. The Second Annual Oh, How I Miss You Blogfest! Thanks to all who send out the W4WS messages! Picking up some new books? Enjoy the video – even at my expense? Get any of the trivia correct? And can you think of some bloggers you miss…? Don’t forget to visit Stephen Tremp! My announcement will actually go up tomorrow. Yeah, it's been one of those. Dang. I want to be first commenter just once. :) I didn't know any of those horror flick lines. I'll have to check out W4WS and the IWSG post! I still miss Pitch University and Nice Jewish Girl of the painfully honest Shomer Negiah blog. Hopefully they'll come back eventually. Tweeted you...:) Going to check out all the new books. What did Cassie do with the other half of you, Alex? Will pop off and tweet for you now. Tweeted for you, and downloaded Cheri's story. Thanks, Alex! I tweeted for you and will continue to do so throughout the day! Thanks for the bloghop shoutout! Happy Monday Alex, as always a post about much going on and I've just signed for the blogfest. Will look forward to that. Good luck to all authors who have books coming or are already out. Haha, Pat is so goofy-creative. I love it. I'm glad Mini-Alex was spared from being hung by a string. I will go tweet about your book right now. Hope it helps. Have a lovely week. Was Ninja beheaded or buried?!?! LOL! Awww love the beautiful bengal kitty! Was really impressed by your guest post. Will definitely tweet for you today. Cats and dangling things are a scary combination! Poor Mini-Alex! Andrew, late to your own blogfest??? Suzanne, it's buried in the litter. As usual, too much info to process. All great too!! It is a pleasure to have you and Isis, be our chosen authors for W4W's this month Alex. I hope the exposure helps and that lots of tweets head your way! Congrats to all the authors posted, who have new releases! I wish them all well. Happy to share this W4Ws day with you! I've already posted to Facebook and will hit Twitter next. That was a mean kitty to stick you in the litter box. Such a timely posting. I teleported over here. A rather tickling experience. Alex, you are over at Stephen's site. I wonder how often you are actually at your own site. Maybe you teleport from one to another. Pat Hatt, Dr. Seuss, and a rhyming cat. How about that. Oh, How I Wish All Blogfests Would End, Blogfest! Arggghhhhh!!!! I don't know W4WS. If I was supposed to copy and paste out one of your tweets as is, then I did it correctly. If not, sorry. I also signed up for your hop. So much good stuff going on over the Internet this week! :) Off to tweet for you! Isis, we will rock the world today! Baygirl, thank you for laughing at my expense. Rhonda, you did it correctly! Keith, there are a lot of people who aren't posting much now. Tweets and Facebook messages scheduled! Congrats on being featured today. Soooo much greatness happening. I need to come up with a sport crush. Hmmm. I'm not sure I have one. Although I'm not blogging on Fridays right now, I just signed up for your blog hop. It's a great one and I already know who I'll spotlight. Thx! I'm currently working on finishing Roland D. Yeomans HER BONES ARE IN THE BADLANDS. Stopping over, finding my way back into the light. Had seen the film "Escape Plan", it was fun and I think that it was better than critics gave it. Thanks for the support the last few weeks, I do appreciate all that you do!! And, yeah, seems a lot of people have disappeared from blogging lately. Half my blog roll has gone MIA. This is the first I've heard of W4WS. I must live under a rock. Also, I'd not seen that Pat Hatt video. It's pretty damn funny. I don't know whether I'd be flattered or insulted that I'm being batted around by a cat for 3 minutes. Ah, who am I kidding, I'd probably enjoy that. LOL ninja wannabe in the litterbox, dig your way out yet? That video was great. Too bad your effigy got ripped in half! I Tweeted for you, but couldn't get that first post done for Facebook. Tried leaving out some of the links because I wanted to embed your book trailer. It usually works, but I'll try again later. Can't believe it's time to blog about those we miss. Time flies! Didn't remember the w4w addition to my post, but I tweeted. Congrats to everybody with a new book out. Congrats on the W4WS selection. Will tweet now. That cat puppet is a little scary LOL. Poor Mini Alex! I remember this blogfest! It's been a while since the last one. I would miss a LOT of people! There are a lot of great releases this week! I loved the horror trivia lines. As a child I always dreamed of teleportation! Oy, Alex, I never know what to respond to - there is so much happening here, it makes my head spin. SA, glad you're on board. I hope I can pare down my list. Jeremy, you are most welcome! LG, and that's so sad. Bryan and Brandon, glad you're not under a rock anymore. And I was flattered. At least the cat didn't use the litter box while I was there. Pat, for the most part! Thanks again. It was hilarious. Good luck with everything Alex! I'll be Tweeting throughout the next few days. And good luck to all the new releases and freebies this week! I love the Oh How I Miss You blogfest. It's such a good way to remind us of the bloggers we love the most. I'm sure that Mini-Alex will escape from the kitty quicksand! I'll head over to Stephen's later. Yes, I loved Pat's "oeuvre"--who doesn't? Ninjas and cats--it's a "gimmee" for some reason. And YOU did an excellent job on teleportation,at Tremp's. Whereas I would have chosen to delve deeply into the origin of the word--which you covered nicely. On the other hand I would have veered off and begun rapidly boring everyone back there at the GREEKS, who are one of my great interests. It isn't surprising--scratch any lover of ancient Greece, and you end up totally bored. It's a fact. Talking with a person who loves ancient Greece is worse that being stuck at a cocktail party with an avid golfer who wants you and only you to hear the latest play by play. Which right there is a good reason not to attend cocktail parties. Anyway, you did a great job and I was particularly happy you mentioned Crichton (sp?) as I loved that book...and I was frghtened (!!!) that you would miss THE FLY. I do NOT like having THE FLY left out of teleportation discussions. Let's just say I have a thing about it. Thanks for the fun, as always. I am playing hookey when I come to visit you as I should be doing WORK but you are a "cannot miss writer" and as such irresistable to a reader like me. 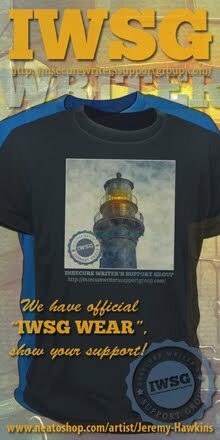 Loving the IWSG site, as well....some great stuff there and appreciate all you guys are doing to support it. Congrats on being the W4WS author for this week! I will tweet now and FB tonight. Now I have to go check out the IWSG post. I'll head over to Stephen's right now! Don't be overwhelmed- just take a breath and do the next thing on the list. Heinlein and Star Wars does sound like an irresistible combination, for sure. Another blogfest? Did anybody tell Gary yet? My problem with this one is I can't remember who I miss. I'm sure I can think of at least a few who I would miss. Let me think on this one. Fun blogfest! I actually didn't know most of those taglines. :D Heading over to Stephen's website. Man, that cat is just swatting at you like there's no tomorrow. You know you're famous when videos get made of your ninja self! Thanks for all the news - congrats to Nicole, Rachel, Cheri and Milo! Jean, thanks, and I will remember that about Greek lovers. I knew it couldn't be too long for Stephen's blog. He's like me - short and to the point. And really appreciate the kind words! Mark, we keep adding to it! Amalia, that's what reviewers have compared my books to. Happy birthday to Toinette and congratultions to Nicole, Rachel, Cherie, and Milo! Congrats to Cherie, Milo, Rachel, Nicole! Congrats to everyone. I hope you get a lot of promoting today. I sent out a tweet of course. I've been counting the days down for Rachel's book!!!! *does boogie dance* super excited about it! I failed big time on those quotes. Oh well!! Finally got my post up for W4WS! Now, I'm off to tweet, visit everyone, and eat pumpkin cheesecake to celebrate National Pumpkin Cheesecake Day! What a day this is! I'll never catch up with all that's happening. Did October just get a rocket strapped to it's backside? Hope your W4WS is great! Got your tweets scheduled, Alex. Wish I had time for a blogfest. Maybe... I should do the "Oh, how I miss blogging" blogfest. Siv, that one is really good. Very subtle in its horror. Jenn, that's right - cheesecake day! Suze, is that a good line? I have tweets scheduled for you, Alex! Best of luck! Thanks, S.K. and Mary! So many good books out today! Loved the video. Signed up for the bloghop. Checked out some of the new releases. Didn't know any of the trivia, that's par. And am going to twitter you if I can just remember my password. Congrats on being the featured author for W4WS. I'm off to tweet later. Have signed up for the Bloghop. Cherie, happy to mention it! Susan, that made me laugh! I have a cat that's as uncoordinated at this one. LOL. Shasta's been known to fall off the back of the sofa. Really. Wow, some nasty covers revealed. Way to go, authors! Hahaha, loved the video. Congrats to all with good news. Now I'm off to Stephen's! Your W4WS post was great and I both tweeted and FB. Cool! Just tweeted for W4WS! Rachel, you're welcome and thanks! Off to check out your post on teleportation. The "Miss You" Blogfest is such a great idea. I have a whole list of people I miss like crazy. And some great ninja army news -- I've been looking forward to a whole Captain Quasar novel! I just hope it features a lot of the four-armed hairy helmsman Hank, the much-unappreciated REAL star of the series. Lots of happenings and good news, thank you! Hopping over to Stephen's. Definitely have to check out the teleportation post! Glad to see the Miss You blog hop is back! I'm heading over to Steve's place to learn all about teleportation. Congrats on the W$W's = tweeting on your behalf! cute video - well, since it really isn't you and just prop. Hurry! Get the scoop, quick!!! *shakes head* I don't have words. Chris, you bet I could! REALLY. Kimberly, that sounds like a good deal to me. Sherry, it's a yearly thing now. Melissa, bet it made you chuckle though. How cool is this post, Captain! Off to visit you over at Stephen's maybe he is related to Bill Nye?! Congratulations everyone on the new books. I certainly can't keep up, my TBR is so long already. I only really know one blogger I miss, but I know lots I would miss if they weren't here any more. Really enjoying the IWSG website. Still need to "Like" it on facebook. Why can't I remember to do this one thing???? I so wish teleportation was possible. We go on a lot of roadtrips. Congratulations to Milo, Cheri,Toinette, Rachel and Nicole! I'm off to read The new post at IWSG, and I'd better start tweeting for you Alex, W4W! Ella, thanks for trying! And I bet his is related to the Science Guy. Jo, that's all it takes. Love Pat Hatt's rhymes. He is a genius at it. Lots of new books - great. Great to see your latest is doing so well, Alex. Oh, how I've missed you. It's great to get some awesome updates. I have books to download. That blogfest sounds like a good idea. I hope they listen! Making the rounds tonight - stopped by earlier, but my Internet quit on me. Truly enjoy Pat's blog. Happy to share your post on Google +, Alex. I loved that article about teleportation. I think it brought out a little more geek in me than I usually show. I didn't do so well with the movie trivia. I only new Army of Darkness. I really need to watch more scary movies to get better at this or cheat and use Google. Thanks for the shout out about my birthday. The cupcakes were a huge success. WOW.. SOOOO much going on. MY head is spinning. 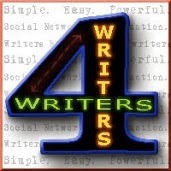 Congrats to ALL W4WS writers. And to Nicole, Rachel, Milo and Cherie! Great taglines. Sheesh, the rhyming cat was harsh, but the real non-rhyming cat was gorgeous. I have 'House' and 'Army of Darkness' in our DVD library. Army is my favorite of the 'Evil Dead' movies. That cat is very creative. But for awhile there I thought you just might get away, and you probably would have if reinforcements Hadn't shown up. What a great week for news! I tweeted and I've signed up. Toinette, you're welcome and hope you had a good one! Shannon, Cassie is a pretty cat. That's really great, really funny The Wannabe Ninja and Cat! Signed up for the fests. I mean, who doesn't enjoy a virtual party? Off to visit Stephen! Wow, congrats Alex! So happy for your success. It is well deserved. And that's a whole lotta news going on! Love your movie trivia! Think Rachel's book is gonna rock the charts! Now, about that bear--the dude was born in Wisconsin! Hey, it's not only southerners, LOL! Yay for Nicole, Rachel, Milo, Cherie, and Toinette! I'm thrilled to see the great tweet and posts for Cassastorm, Alex. Wishing you huge success! I'm gone for a week or so and I missed so much! Congrats to Milo for his book release. I haven't gotten on the twitter bandwagon yet and my facebook page is rather neglected. I didn't know Rachel's book was out yet-will have to get that one. And that's great news for Milo- I love everything I've ever read that's been written by him. At first I was thinking? How do I not know any of the lines from the horror trivia.. not a single one? Then it occurred to me I don't watch scary movies, lol. Elizabeth, virtual parties are easy on the wallet! Emilyann, that will do it! 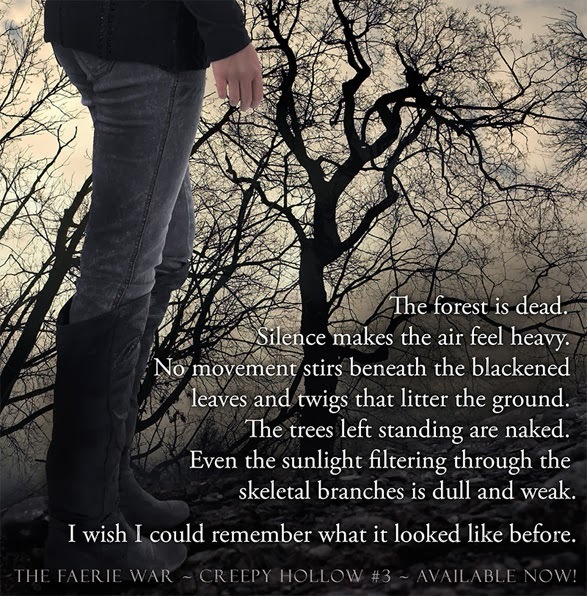 That excerpt from The Fairie War is beautifully written. I want to "turn the page" and read more! Huge congrats to everyone on their great new releases! I don't think I got any of that trivia right. Ha! Very surreal and great video! Lots of exciting releases - congrats to everyone. I just tweeted and I'll visit Stephen's site. At the end of the video: "I R real cat." The blog hop sounds fun! It is always so exciting when I see the bookish news and know some of the bloggers/authors. So excited for Cherie! Great cover! Rachel's cover and title also draw me in. Sadly, I'll miss the Missing You blogfest. I'm planning on a break thru Nov and Dec.
That Cat, he's quite the character, lol. Visited Stephen just now and left a comment. Hope I am forgiven for the delayed visit, my work schedule has gone haywire now. I enjoyed he number 6 horror quiz question/answer part. That head thing was a little funny. I can think of several bloggers I miss. As soon as I find them, they seem to leave.